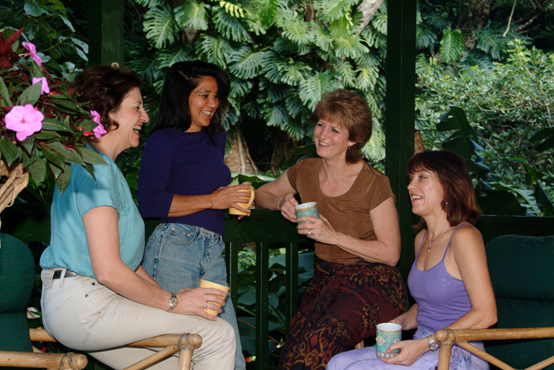 Why is our UnTherapy life coach training specifically for women? Sunny Massad says, "I truly believe that the presence of women in leadership positions can heal and transform the world. So my personal and professional mission is to educate and empower as many women as possible to become leaders, mentors, and entrepreneurs. The objective of the Women's Leadership Institute for Conscious Coaching llc is to bring positive psychology into the hands of conscious women who have a desire to lead, teach, consult, coach, or counsel, but simply don’t have the skills and expertise to do so. I have been teaching this training since before the turn of the century and have witnessed the power of inspiring women assisting to transform lives!" If a man wishes to apply for this life coach training, he is welcome as long as he meets the qualifications for admission and does not mind that his life coach certification diploma says, Women’s Leadership Institute for Conscious Coaching, llc. • Which peer mentoring profession best suits you: counseling, coaching, or consulting? • What is unique about this online training in comparison to other life coach schools? • Why does WLICC consider life experience to be of such great value in the life coaching profession? • Why become a certified life coach instead of a counselor? • What are the advantages of taking this life coach training online? • How much can a certified life coach earn? • Why is this life coach training specifically for women? • Is the Women's Leadership Institute for Conscious Coaching a member of the ICF (International Coach Foundation)? • What are the advantages of being personally mentored by a teacher with a Ph.D. in psychology?